Very early in my Perry research, I encountered a story about the Perry family that held my interest for a long time. The story focused upon seven sons of a Phillip Perry, who were angry with him over his second marriage. As a result of their anger, the seven sons left Virginia for North Carolina and refused to name any of their sons after Phillip. For his part, Phillip Perry disinherited those seven sons. And for the longest time, I thought this Phillip Perry was Judha Perry’s father and that the seven sons were Judha’s half-brothers. Then approximately four years ago, someone set me straight. Unfortunately, I do not have information for this person. She is no longer on the internet. The information she shared with me was gleaned from court records in Virginia and in North Carolina. Since my contact with her, I discovered additional sources that support her claim. Steve Watson’s “Origins of the Seven Perry Brothers of North Carolina” may have raised the initial question about the validity of the legend (1). As a result, my contact went to the courthouses in Virginia and North Carolina in an effort to piece the information together. Consequently, I no longer believe the so-called “Seven Brothers” story and regard it as a myth or a legend handed down through time. There may have been an incident that inspired its inception. If so, I am beginning to think it occurred in England, long before Phillip’s arrival in America. The story of the Perrys as merchants begins in 1531-1532, when one Roger Pery was admitted a freeman of Exeter by apprenticeship. Whether or not he was, as alleged, sprung from the armigerous Perys of Water, Roger was part of an extensive counsinhood, with kin in Hampshire, Wiltshire and Somerset. Following in the footsteps of his master, Roger became a merchant in Exeter, as did his two sons William and Richard. Both also became bailiffs of Exeter and appear in the records of the local Society of Merchant Adventurers. There we find William (city bailiff, 1578) an active of relatively small-scale merchant in the 1560s, importing raisins, figs and wine (“sack”), presumably from Spain and the Mediterranean. Richard can also be found in the Exeter port books in the 1580s importing wine and other goods from Spain or Portugal. Both brothers were specifically named as merchants trading to Spain and Portugal and as founding members in Queen Elizabeth’s charter of 1577 incorporating the Spanish Company, But, as Roger and his sons William and Richard had rather low assessments for local taxes, the family was presumably not too prosperous in the sixteenth century. This would have made them particularly receptive to alternative career opportunities for their offspring in the expanding English world overseas, particularly when the outbreak of the interminable hostilities with Spain in 1585 created obstacles to continuing in their family’s accustomed trade. Around 1600, William’s son William settled as a merchant at Limerick in Ireland, where there was a significant Exeter element from the 1580s…(3). 1. Phillip (b. 1577)–progenitor of this narrative and great grandfather of Judha Perry. 4. Richard II (1580-1650)–m. Dunes Hicks (d. 1654)–The grandparents of Micajah (Micaiah) Perry (1641-1721)–one of the founders of Perry & Lane tobacco merchants. The Perry family of London descends from Micajah Perry. Phillip (b. 1577) has often been described as Micajah Perry’s uncle. He would have been Micajah’s grand uncle, instead. Judha Perry was Micajah Perry’s second cousin once removed. 10. Elizabeth (b. 1590) (4). 2. Phillip Perry (1640-aft Oct 1669). This Phillip Perry was the oldest son of Phillip and Grace and is mentioned in his father’s will. He appears to have settled in Nansemond and relocated to North Carolina. His wife’s name was Joanna/Johanna. He disappears from the records and may have returned to Virginia. 3. James Perry (1642-bef 1667). James was born in the Isle of Wight, Virginia. 4. Jacob Perry (1644-bef 1667). Jacob was also born in the Isle of Wight, Virginia. 5. John Perry (1646/50-1724)–the grandfather of Judha Perry. I will cover him in a separate section. In the name of God, Amen. I Phillip Perry, aged seventy years or there about, being weak in body yet in sound memory, praise be God, I do make and ordain this to be my last will and testament in form and manner following. Item. I bequeath my soul to God, who gave it me and my body to the earth from which it came to be so buried in such a decent sort as my loving wife shall think fit and convenient. And as concerning my wordly goods, I dispose as following: my will is that my debts in the first place should be paid. Item. I give and bequeath unto my eldest son, Phillip Perry, when he comes to one and twenty years of age, a brown steer of five years old with a mealy mouth marked with a shallow tail in the right ear and cropped in the left ear and a slit in the crop. And a cow of the same age and marked in the ears as the star aforesaid and his increase forever. unto my eldest son, Phillip Perry, when he comes to five and twenty years of age, one thousand pound of sound (?) to him in lease and cash. And so for my youngest son, John Perry, to take my plantation wholly to himself after the death of my loving wife, his mother, as above said. And if in life my eldest son, Phillip Perry dies before he comes to age, this as is above mentioned, that then I do give and bequeath what is given unto my youngest son John Perry. I leave it unto my eldest son, Phillip Perry. And if it please God to take both these my sons to his reward before they come to age and my loving wife their mother lives that then what I gave to them shall be their mothers. Item. I give unto my loving wife, Grace Perry, all my goods movable and unmovable, both within doors and without doors exempting what I have given unto my two sons. I do herewith make my loving wife Grace Perry my sole and lawful executrix of this my last will and testament. And my will is that my wife should give my two sons, besides, what she thinks mine, if she have it to spare, according to their obedience to her. I do nominate and appoint my friend Ralph Channell to be my overseer of this will and testament. And also my will is that my estate shall not be praised, do confirm this my last will and testament. I have with willingly fit my hand and seal this six and twentyth day of November 1667. This will was proved by the oath of James Bagnall and Anselm Baylis in the open court held for the Isle of Wight County this ninth day of October 1669 and then recorded. Jno Jerimas, Clerk of the Court (6). John Perry (ca. 1690 – 1760) was born on land that his father, John Perry, received by Virginia Land Grant in the 1680s. This land was located just north of present-day Sunbury, North Carolina, on the west side of the Great Dismal Swamp. This land was eventually sold and John Perry (ca. 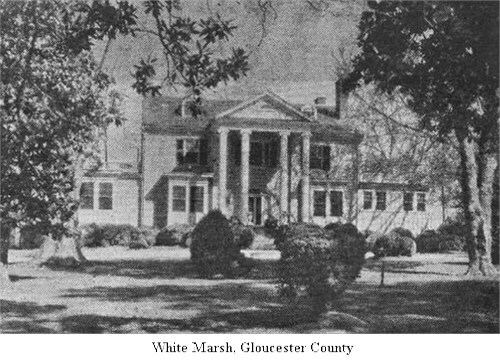 1690-1760) moved around 1738 or 1739 to the west side of Chowan River in Bertie County. While John Perry was a vestryman in the Church of England, there is a great possibility that he also attended the Baptist church, which had a meeting house just south of his home. The Baptist movement was already strongly established in the section of North Carolina in the 1730s, and vestrymen of the Church of England were known to secretly attend both services. John Perry’s son, known as John Perry Junr. (circa 1715-1785), was certainly a member of the Baptist faith as he moved his family out of Bertie County in 1769 and he helped found the new High Hills of the Santee Baptist Church in present-day Sumter County, South Carolina, where he was one of four trustees of this new Baptist church (7). 3. Israel Perry (1697-1779). Israel was born in Perquimans, North Carolina, and he died there. 4. Jacob Perry (1700-1775). Jacob was born in Belevedere, Perquimans, North Carolina, and he died March 4, 1775 in Perquimans. 5. Phillip Perry (1700-1751). This is Judha Perry’s father, and I will cover him in a separate section. 6. Benjamin Perry (1705-1788). Benjamin was born in Perquimans in 1705, and he died March 11, 1788 in Perquimans. 7. Joseph Perry (1706-1759). Joseph was born in Perquimans and died there. In 1673 John Perry, son of Phillip of “Whitemarsh” decd sold the land he inherited from his father to Col. Joseph Bridges of “Whitemarsh” who had a large estate nearby. In 1693 John Perry, son of Phillip Perry, dec. conveyed a tract of land to Col. Joseph Bridgers lying in Whitemarsh. On 10 Aug 1674 John Perry requested administration on the estate of John Young who died intestate, he having married Elizabeth Young, daughter and heir of John Young. His surities were John Marshall and Francis Ayers. John Young was probably the son of Richard Young, who patented land in Isle of Wight in 1635. John Young was mentioned in the will of Edward Cherwine, 27 Sept 1649. John Perry and his wife Elizabeth of the Upper Parish of Nansemond on May 26 1675 sold to Nathaniel Bacon 70 acres in Lower Parish of Isle of Wight bought of John Young and Robert Butts. A John Perry held 870 acres in Nansemond in the Quit Rent of 1704 (9). The father of Judha Perry, Phillip Perry was born in 1700 in Nansemond, Virginia, and he died before the October session of court, 1751 in Perquimans, North Carolina. His will is dated July 5, 1751. 4. Jesse Perry (1734-1802). Jesse was born in Nansemond, and he died in North Carolina in 1802. After Joan Hunter Perry’s death, Phillip married Judith Elizabeth Hunter (1710-1751). She was a daughter of Robert Hunter (1685-1753). Robert and Isaac Hunter were brothers and were sons of William of Nansemond. So Judith Elizabeth Hunter and Joan Hunter were first cousins. 2. Rachel Perry (born 1746, North Carolina.) Rachel became the wife of Richard Skinner (1740-1792). They had one child: John Price Skinner (1772-1820). 3. Judha “Jude” Perry (1748-1795). Jude became the wife of William Spence and will be detailed in the future parts of this article. 4. Miriam Perry (born 1750). Sons: Jesse (lands on Little River, known by the name Sandy Hook), Philip (“plantation whereon I now live”). Daughters: Sarah, Mary, Rachel, Jude, Elizabeth and Miriam. Executor: Jacob Perry, son of Jacob Perry. Witnesses: Moses Field, Benjamin Perry, Elizabeth Perry. Clerk of Court: Elizabeth Hatch (10). (4) Price, Jacob M. Perry of London: Figure 1, p.10. (8) John Perry in the Family Data Collection – Individual Records, Ancestry.com, Provo, Utah. Date Accessed: 16 Feb 2015. Available online at http://www.ancestry.com. (9) “John and Phillip Perry”, Ancestry.com, Provo, Utah. Date Accessed: 16 Feb 2015. Available online at http://www.ancestry.com. (10) Abstract of North Carolina Wills, p. 285. Very interesting! I believe I am a descendant of this family! This is by far the most I’ve ever learned about my family history. Thank you!